Jeanne Cavelos is the director of the Odyssey Writing Workshop. 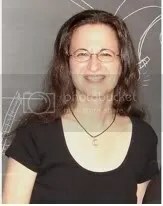 She was a senior editor at Bantam Doubleday Dell, where she worked for eight years, editing the fantasy/science fiction program, the Abyss horror line, and other fiction and nonfiction. Jeanne is also the bestselling author of seven books and numerous short stories and articles. She has won the World Fantasy Award and twice been nominated for the Stoker Award. Author SharaPosted on January 9, 2011 December 6, 2012 Categories Graduates, Writing AdviceTags resources, writing advice, writing questionsLeave a comment on Writing Question: Idea Bank?